Often growing companies find themselves bottlenecked by their increasingly antiquated baling equipment and limited financing options which prevent future upgrading opportunities. CRC recently purchased two horizontal balers for a Southeastern recycling processor and entered a flexible supply/lease agreement with them. This “extra” helped this company become more efficient without a large capital outlay. They now can process multiple grades simultaneously and thus have increased their capacity for more growth. Continental supplies the safest most reliable baling equipment that will last for decades. Married to our efficient recycling equipment is our impressive preventative maintenance service. This keeps your system in top performing condition and decreases the chance of problems before they happen, that’s what bringing you The Extra is all about. Continental Recycling’s sister company, CPPC, has supplied competitively priced quality packaging machinery and films to protect our customers’ product for 35 years. We work diligently to ensure that our customers’ products are packaged safely and are protected for delivery. We also take responsibility for the waste packaging created at the end user’s final destination with successful recycling outlets. An example of Continental’s total packaging/recycling program is evident with a national glass bottle manufacturer who supplies the beer industry. When the stretch wrapped glass loads arrived successfully at the brewery they discarded the plastic film and corrugated as waste to be sent to landfills at a substantial cost. Continental’s recycling solution provided a distinct marketing advantage for all of their national customer’s waste paper and plastic material. Continental Recycling’s expertise has assisted our customers in installing balers to their specific recycling requirements. This eliminated all of their previous waste removal, compactor rental, and associated land fill costs. 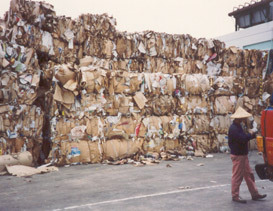 In addition, it created an excellent financial return for their waste packaging. 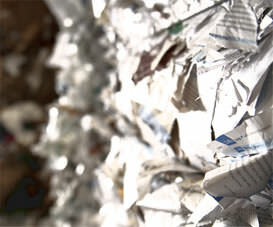 We provide a successful packaging and profitable recycling solution to many companies throughout North America. This total approach system from packaging to recycling is just another Extra we bring to our customers (and their customers) every day.